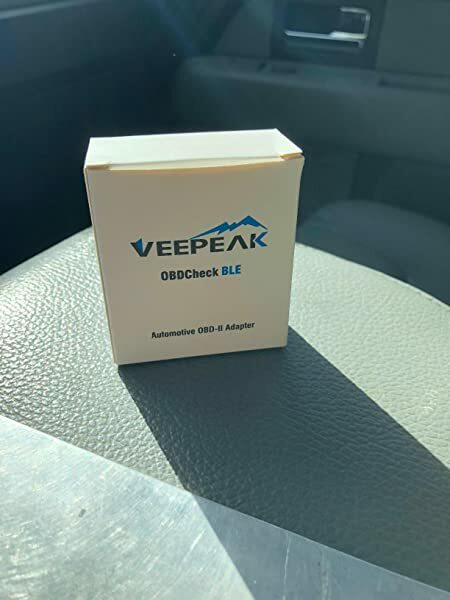 The Veepeak OBDCheck BLE is an extremely popular choice in its price range because of the complexity and sophistication of information it provides. The device lets you know what’s wrong with your car before you take it into the shop. 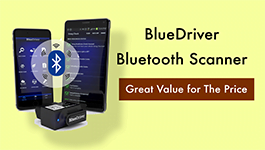 You may even be able to avoid costly professional diagnostic tests by using this device. Even people unskilled in car repairs may be able to fix simple things, such as resetting an engine light. 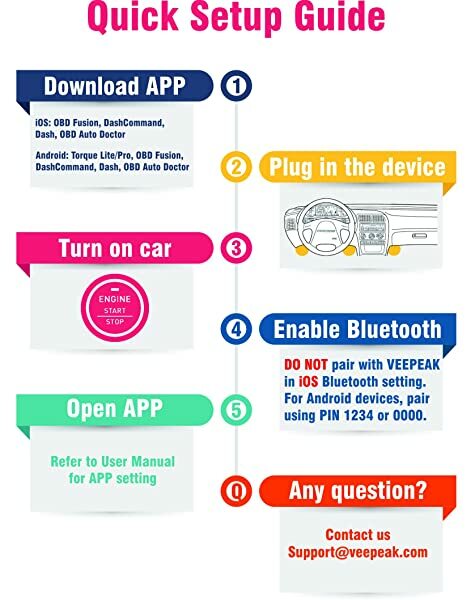 The VeePeak OBDCheck BLE is a great choice for anyone who owns a car and wants to discover more about what’s going on with it. 4 Who Is VEEPEAK OBDCheck BLE Built For? This small affordable OBD2 Bluetooth Scanner works with your iPhone, iPad or Android device and a choice of apps, most of them are free. It helps you understand why your check engine light or other indicators are blinking. It also provides all kinds of useful information, such as live sensor readings and even whether your car will pass emissions. 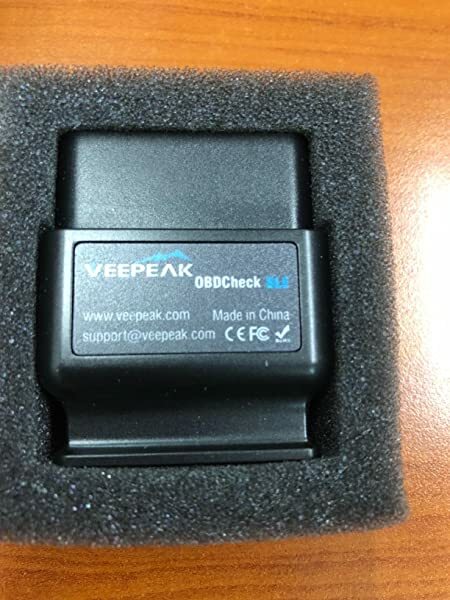 The Veepeak OBDCheck BLE is easy to use and set up. The device is small and compact and works wirelessly with your iPhone, Android device or even iPad. You download a compatible app on your phone, tablet or Android device and plug the device in. You turn on Bluetooth until you see “OPD device” showing up. In a matter of minutes, it transmits complex and sophisticated information about your car’s operation in real time. The manufacturer of this OBD2 scanner designed it to pair with automobiles and light trucks built after 1996. This was the year that OBD II (On-Board Diagnostic) specifications became mandatory for all American-made cars. Veepeak BLE supports all 5 OBD II protocols. 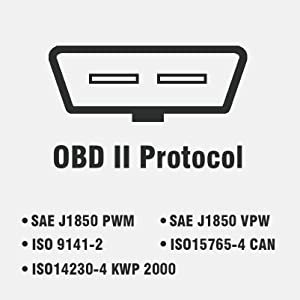 This Bluetooth OBD2 scanner supports all 5 OBD II protocols. These include ISO9141-2, CAN, J1850 VPW, KWP2000, and J1850 PWM. 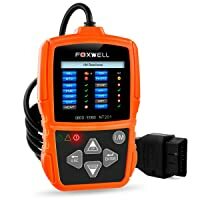 You can use it as a scanning tool, a trip computer, and real-time monitor of your car’s performance. 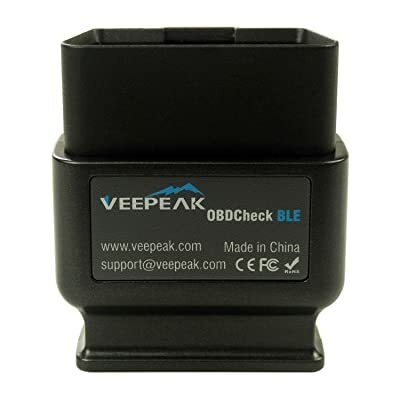 The Veepeak OBDCheck BLE is compatible with many different applications on your iPhone, iPad or Android device. These include Torque Lite, Torque Pro, piston, Car Doctor Pro for Android Marshmallow, Carista, Dash, Dash Command, and more. Most are available for free. Even better, you can choose which one you want to download based on your preferences. The easy-to-read manual can help you with this feature. 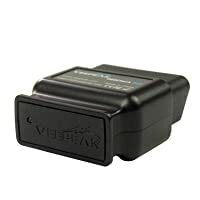 The Veepeak OBDCheck BLE easily plugs into the OBD II connector under your dashboard. It turns on when you start the ignition. Since it’s small, it won’t interfere with your legroom or driving ability. The device doesn’t drain your battery even when you leave it running during long trips. Some people turn it off for days on end while others keep it on when they are driving. It’s all about what works best for you. The price point of this device is cheap, but it does all the sophisticated things it’s supposed to do. Similar tools sold on social media don’t provide more information about your automobile than the Veepeak BLE. Buyers in this cost range prefer it over its competitors. You can buy diagnostic tools of professional quality and complexity that cost extremely expensive. However, for the average person and do-it-yourselfer, this device is a great affordable choice. This device can accurately predict your exact fuel efficiency before a long trip. You can learn if you’ll pass your emission or smog check before you go to the test. It monitors every function such as RPM, mpg, throttle, and so forth. This tool allows you to do all of this on your tablet or phone, even while you are driving. If an indicator light appears, you can check if it’s an error or real trouble. Auto repair shops can charge some money for diagnostic tests. Sometimes all they tell you is that you need to reset your engine light. This tool enables you to find out if you are getting codes in error and fix them yourself. On a long trip, knowing what’s going on with your car is especially important. You won’t have to trust your car to an unfamiliar mechanic in a strange city. 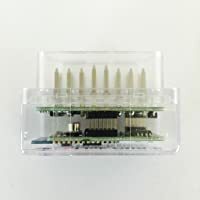 The Veepeak BLE is inexpensive, easy to use, and works as advertised. You choose from many compatible apps for your iPhone, iPad or Android device. It turns your phone/tablet into a place with all kinds of complex information about your car. Providing such information in real time adds to its efficiency. The ABS lights may flash when the device is installed. A possible compatible issue with Torque Pro App. Low energy footprint and battery use. Cons May automatically lost connections after 2-3 minutes. Bottom Line VEEPEAK OCDCheck BLE is highly recommended to the beginners and DIYers with cars and/or light trucks. Foxwell NT201 is great for beginners who want to turn off the MIL. LElink BLE is good for DIYers. Who Is VEEPEAK OBDCheck BLE Built For? Every driver will like knowing in advance whether his or her car will pass its emissions test. It can provide reassurance about the safety of your car when you are on a long trip. The do-it-yourself mechanic can use this diagnostic tool in his home shop. A professional mechanic would probably want a more complex tool. The Veepeak BLE is a great little device for the money. Easy to use and set up, it will save you money at the repair shop by avoiding costly professional diagnostic tests. You can see what’s going on with your car in real time and often perform jobs yourself through the information you gain from the device. The ANCEL AD510 is one of the best Full-OBDII scan tools to have with you when you travel. It will save you time and money when your car has a problems. The connection problems have been fixed by veepeak. ABS flashing only happens on several specific vehicles due to obd pin conflict.